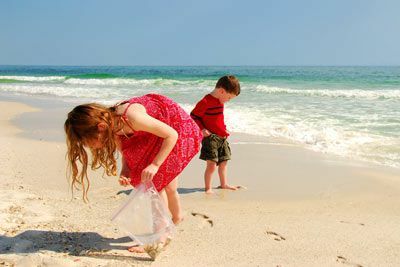 White shores sprinkled with seashells and calm turquoise waters for miles with no drop-offs make St. Pete Beach a family-friendly coastal destination. Relax with a swim or sun yourself on the sands where stress doesn’t stand a chance. Umbrellas and beach chairs are conveniently available to rent. A variety of drinks and snacks can be purchased in various spots along the beach including beach concessions and seaside bars. For a more adventurous approach, take a fishing charter boat out on the open ocean, go parasailing high above the open ocean, or rent jetskis to satisfy the need for speed. Kayak tours are also available for all levels of sports enthusiast. 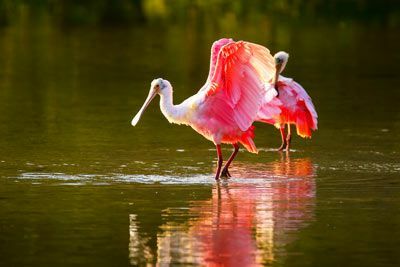 Remember to keep your eyes open for spoonbill pelicans, egrets, ospreys, and even dolphins and manatees! The fun continues on dry land with a charming downtown area sporting a variety of restaurants and shopping opportunities that will keep you busy no matter your budget. 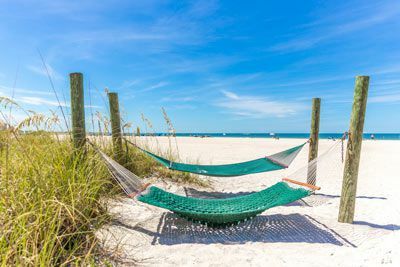 Pass-a-Grille, a strip of land between an extension of Tampa Bay and the Gulf of Mexico, is only a few blocks south of the beach resorts of St. Pete’s Beach and offers shops, the Gulf Beaches Historical Museum, a park, and a few eateries and bars as well. 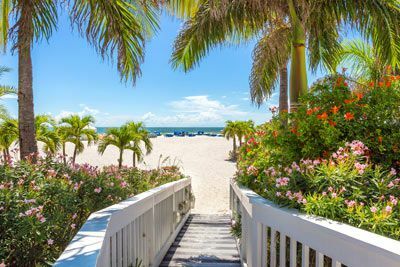 A 20-acre beachfront playground, TradeWinds Island Grand was created with fun in mind. Fly with a water jetpack up to 30 ft over the ocean, or master a stand-up paddleboard as you navigate the waves. 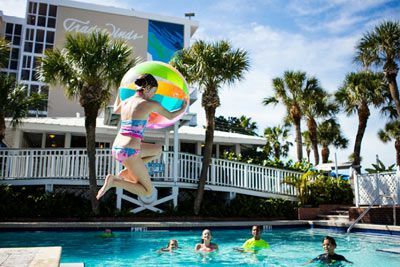 Play in the offshore water park, feast on the freshest Florida seafood, or relax by one of five heated pools. Indulge in a massage or escape to a beachside hammock. 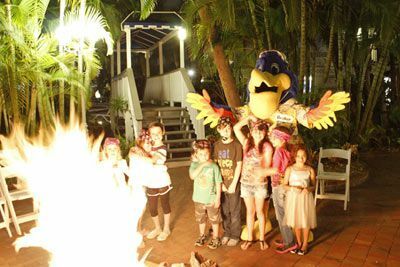 Kids can party with Redbeard the Pirate and his high-seas storytelling or join in with kids-only KONK daycamp activites and crafts. Guests will also enjoy walking an immaculate stretch of award-winning beach. The fun continues with a visit to the neighboring Guy Harvey Outpost. Dine on cutting-edge seafood at RumFish Grill, showcasing a 33,500 gallon aquarium featured on Animal Planet’s hit show “Tanked,” or relax at indoor/outdoor bars with live entertainment. When it’s time to explore, the Suncoast Beach Trolley stops right outside. The trolley allows visitors to explore the beach communities from Clearwater to Pass-A-Grille without the worry of driving and parking. The trolley also has connections to regular bus service in Pinellas County. Balcony guest rooms feature 1 King or 2 Queen beds (based on availability), and balcony that overlooks tropical landscape and meandering waterways. Other amenities include flat screen TV, wet bar area with mini fridge, microwave, coffee maker, toaster and tableware, hairdryer and more. Suite Balcony rooms offer a Double bed sized sofa bed in the living area and 2 Queen beds in a separate bedroom plus balcony overlooking the tropical landscape and waterways. Other amenities include flat screen TV, kitchenette with full-size fridge, microwave, coffee maker, toaster and tableware, hairdryer and more. 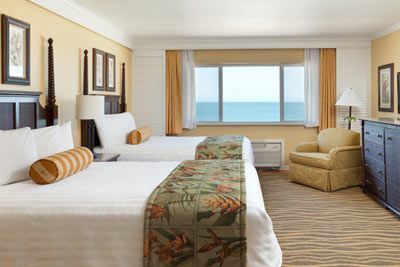 The TradeWinds Island Grand Resort is located approximately 21 miles from the St. Petersburg/Clearwater Airport (PIE) and 30 miles from Tampa Int’l Airport (TIA). Certified Registered Nurse Anesthetists: This program has been prior approved by the AANA for 20 Class A CEC; AANA Code #1037213; Expiration Date 7/14/2019. $100 May 12, 2019 to June 11, 2019. No refund after June 11, 2019; however, 50% of tuition paid may be applied toward tuition for another NWS program within the next 12 months. Cancellation must be made in writing.